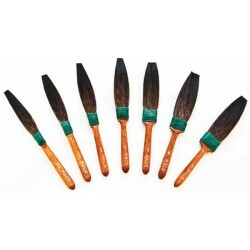 These Broadliner brushes are made from European Dressed Squirrel Hair, Lacquer, Enamel and Water Resistant. These brushes make an excellent Touch-up brush. All brushes are made in the USA. Use for wideline graphics instead of a quill.